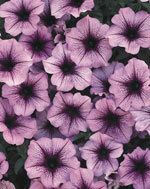 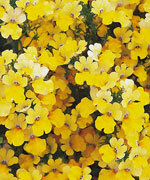 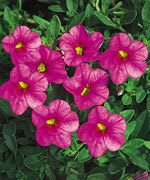 Abundant small petunia-like flowers all season. 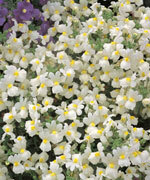 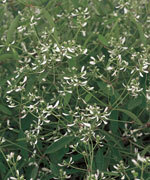 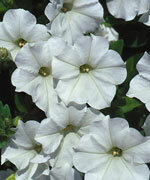 Heat and drought tolerant and produces non-stop clouds of airy white blooms. 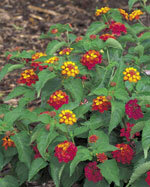 Red, Orange, & Yellow mixed small flowers. 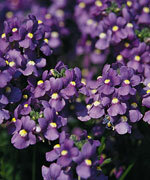 Bright blue small flowers with white centers. 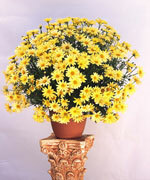 Butter-yellow sword-like blades add wonderful contrast all season. 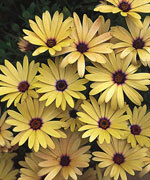 Daisy flowers all season long. 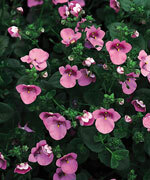 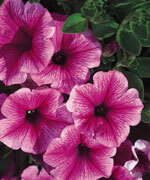 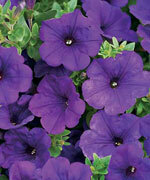 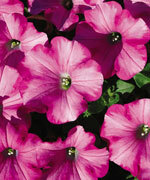 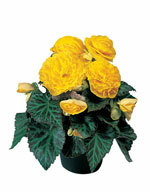 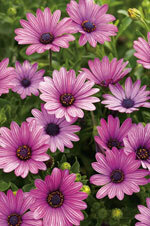 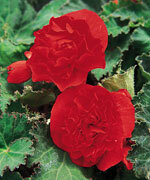 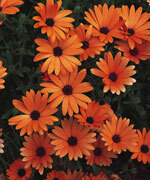 Blooms all season and is perfect for containers & hanging baskets. 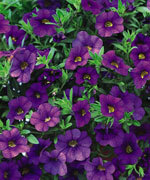 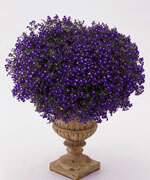 Cascading, vibrant, black/purple foliage used in hanging baskets & containers. 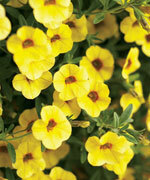 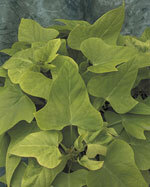 Cascading, vibrant, chartreuse foliage used in hanging baskets & containers. 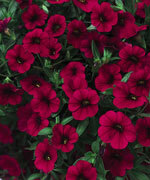 Large, wavy, deep red flowers. 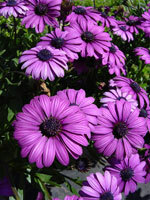 Large flowers and vivid colors.